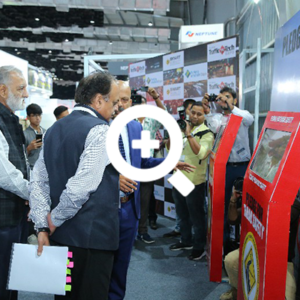 Supported by the Ministry of Road Transport & Highways, NITI Aayog and other organisations, the three-day was inaugurated by the Secretary, MoRTH, Yudhvir Singh Malik in the presence of officials from Central and state government departments and supporting organisations. The Country Partner was Australia and at the inaugural Conference session, Austrade released Future Transport and Mobility Industry Capability Report (ICR). Exhibitors were equally elated to meet up with the right kind of solution seekers and decision-makers. The exhibitors opined that the companies they wanted to be associates with were present at the event and they could discuss with fellow exhibitors too, along with the visitors, their product offerings. Cutting across barriers, the Show facilitated accessibility of important dignitaries and business stakeholders, a process that otherwise would have taken much individual time and effort. The Conference with the theme ‘Driving Smart Mobility’ covered areas like Capacity Building and New Mobility Plans for India; Emerging Technology for Highways, Road and Vehicle Safety: Policies, Trends and Technology; Mobility and Smart Cities, Parking Management, Reinventing Public Transport, Policy Framework for ITS applications in India and Emerging Technologies IoT and a Training in Defensive Driving for the Police and transport departments. The special session on start-ups opened up the challenges and opportunities for new companies in the traffic sector. A special session on ‘Women, Cities and Transport’ explored inter-related themes like Women, Mobility, City Planning, Policies and Technology. The stage is already set for Smart Mobility 2019. To be held in November next year in Mumbai, the twin expos are designed to be even bigger than this one with newer content & sessions and with a focus on Future Mobility. The Road safety awareness competition for Mumbai Colleges and a special driver training session for enforcement officials from the Police and transport department were some of the highlights of the event. A complete module on awareness was designed in such a manner that the session made students realise why it is important to follow rules on roads including importance of road safety, safety gears, safe braking, road signs & road markings and how to avoid accidents. It was very encouraging to hear the Show Partners response to the Show. 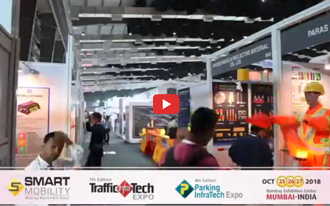 “We are happy for participating in TrafficInfraTech Expo for the fifth year in a row,” said Sandep Pawar of Kent Intelligent Transport Systems Pvt Ltd.
“It has been a great Show and also the Conference was very interesting. We are hoping to participate in the next Show too,” stated Ravin Mirchandani of Ador Powertron. The solution providers could meet consultants and traffic police officials and could directly interact with them. The best thing about the show has been quality the quality of the trade visitors. For companies like Data corp, Dahua Technology, Valmont Structures, Prama HIKVision Pvt Ltd, Avery Dennison, TomTom, VTRAC Worldwide and Siemens Smart Mobility 2018, has been a very fruitful experience.